Home » Comedy » First glimpse of ‘Absolutely Fabulous: The Movie’ is nothing short of AbFab! It’s cool, it’s refreshing, it’s Absolutely Fabulous, says the advert. 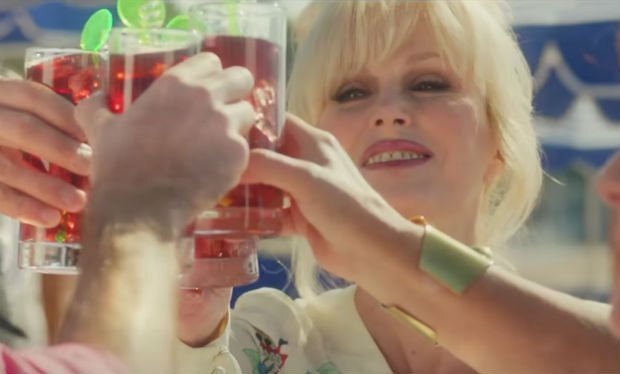 Edina (Jennifer Saunders) and Patsy (Joanna Lumley) are seen living the life of luxury sipping refreshing drinks and smooching men in this humorous ‘advert’ that includes the Je t’aime track currently used on Chanel’s perfume ad, too. How much more Pats and Eddy can you get! Still oozing the glitz and glamour lifestyle that we have grown accustom to over the years, Absolutely Fabulous: The Movie, their new big screen adventure, opens with Eddy and Patsy shopping, drinking and clubbing their way around London’s trendiest hotspots before a major incident at an über fashionable launch party sees them engulfed in a media storm and relentlessly pursued by the paparazzi. Penniless, the pair flee to France’s sun-soaked coast where they conspire to make their relocation permanent and live the high life forevermore. How could you not strive for this once you’ve been seen riding the waves on a James Bond-inspired speedboat called ‘Skyfall’. ABSOLUTELY FABULOUS: THE MOVIE reunites Jennifer Saunders and Joanna Lumley as the iconic Edina and Patsy along with all of our series favorites from the original AbFab series will back for this big-screen outing, with Julia Sawalha as Eddy’s long-suffering daughter Saffy, Jane Horrocks as Bubble and June Whitfield as Mother, plus the promise of plenty of A-list guest stars from the worlds of acting, fashion and music. Rumor has it that former Spice Girl Emma Bunton and model Kate Moss have been spotted filming scenes for the forthcoming film. Absolutely Fabulous: The Movie will land in theatres on July 1, 2016. 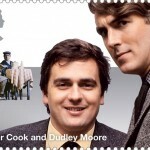 Absolutely Fabulous news! 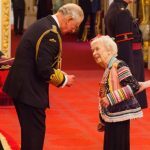 It’s now Dame June Whitfield!